The aims of this study are to revisit the effect of high pressure on homogenization and the influence of pH on the emulsion droplet sizes. The high-pressure homogenization (HPH) involves two stages of processing, where the first stage involves in blending the coarse emulsion by a blender, and the second stage requires disruption of the coarse emulsion into smaller droplets by a high-pressure homogenizer. The pressure range in this review is in between 10-500 MPa. The homogenised droplet sizes can be reduced by increasing the homogenization recirculation, and there is a threshold point beyond that by applying pressure only, the size cannot be further reduced. Normally, homogenised emulsions are classified by their degree of kinetic stability. Dispersed phase present in the form of droplets while continuous phase also known as suspended droplets. With a proper homogenization recirculation and pressure, a more kinetically stable emulsion can be produced. The side effects of increasing homogenization pressure are that it can cause overprocessing of the emulsion droplets where the droplet sizes become larger rather than the expected smaller size. This can cause kinetic instability in the emulsion. The droplet size is usually measured by dynamic light scattering or by laser light scattering technique. The type of samples used in this reviews are such as chocolate and vanilla based powders; mean droplet sizes samples; basil oil; tomato; lupin protein; oil; skim milk, soymilk; coconut milk; tomato homogenate; corn; egg-yolk, rapeseed and sunflower; Poly(4-vinylpyridine)/silica; and Complex 1 until complex 4 approaches from author case study. A relationship is developed between emulsion size and pH. Results clearly show that lower pH offers smaller droplet of emulsion and the opposite occurs when the pH is increased. Bader S, Bez J, Eisner P. Can protein functionalities be enhanced by high-pressure homogenization?–A study on functional properties of lupin proteins. Procedia Food Science 2011;1:1359-66. 2. Lee S-H, Lefèvre T, Subirade M, Paquin P. Effects of ultra-high pressure homogenization on the properties and structure of interfacial protein layer in whey protein-stabilized emulsion. Food Chemistry 2009;113:191-5. 3. Innings F, Trägårdh C. Analysis of the flow field in a high-pressure homogenizer. Experimental Thermal and Fluid Science 2007;32:345-54. 4. Kubo MTK, Augusto PE, Cristianini M. Effect of high pressure homogenization (HPH) on the physical stability of tomato juice. Food Research International 2013;51:170-9. 6. Augusto PE, Ibarz A, Cristianini M. Effect of high pressure homogenization (HPH) on the rheological properties of tomato juice: Time-dependent and steady-state shear. Journal of Food Engineering 2012;111:570-9. 7. Floury J, Bellettre J, Legrand J, Desrumaux A. Analysis of a new type of high pressure homogeniser. A study of the flow pattern. Chemical Engineering Science 2004;59:843-53. 8. Pinho CRG, Franchi MA, Augusto PED, Cristianini M. Evaluation of skimmed milk flow during high pressure homogenization (HPH) using computational fluid dynamics (CFD). Brazilian Journal of Food Technology 2011;14:232-40. 9. Cruz N, Capellas M, Hernández M, Trujillo A, Guamis B, Ferragut V. Ultra high pressure homogenization of soymilk: microbiological, physicochemical and microstructural characteristics. Food Research International 2007;40:725-32. 10. Poliseli-Scopel FH, Hernández-Herrero M, Guamis B, Ferragut V. Characteristics of soymilk pasteurized by ultra high pressure homogenization (UHPH). Innovative Food Science & Emerging Technologies 2013;20:73-80. 11. Floury J, Desrumaux A, Lardieres J. Effect of high-pressure homogenization on droplet size distributions and rheological properties of model oil-in-water emulsions. Innovative Food Science & Emerging Technologies 2000;1:127-34. 12. Peng J, Dong W-j, Li L, Xu J-m, Jin D-j, Xia X-j, Liu Y-l. Effect of high-pressure homogenization preparation on mean globule size and large-diameter tail of oil-in-water injectable emulsions. Journal of Food and Drug Analysis 2015;23:828-35. 13. Burapapadh K, Takeuchi H, Sriamornsak P, editors. Pectin-based nano-sized emulsions prepared by high-pressure homogenization. Advanced Materials Research; 2012: Trans Tech Publ. 14. Farshchi A, Ettelaie R, Holmes M. Influence of pH value and locust bean gum concentration on the stability of sodium caseinate-stabilized emulsions. Food Hydrocolloids 2013;32:402-11. 15. Ishikawa A, Fujii M, Morimoto K, Yamada T, Koizumi N, Kondoh M, Watanabe Y. Oil-in-water emulsion lotion providing controlled release using 2-methacryloyloxyethyl phosphorylcholine n-butyl methacrylate copolymer as emulsifier. Results in pharma sciences 2012;2:16-22. 16. Hacıoğlu R, Genç A, Bakırcı B. Evaluation of Droplet Sizes from Video Images for Metal Working Fluids. 17. Jurado E, Bravo V, Camacho F, Vicaria JM, Fernández-Arteaga A. Estimation of the distribution of droplet size, interfacial area and volume in emulsions. Colloids and Surfaces A: Physicochemical and Engineering Aspects 2007;295:91-8. 18. Medoff M, Masterman T. Processing biomass. Google Patents; 2011. 19. Yin B, Zhang R, Yao P. Influence of pea protein aggregates on the structure and stability of pea protein/soybean polysaccharide complex emulsions. Molecules 2015;20:5165-83. 20. Binks BP, Murakami R, Armes SP, Fujii S. Effects of pH and salt concentration on oil-in-water emulsions stabilized solely by nanocomposite microgel particles. Langmuir : the ACS journal of surfaces and colloids 2006;22:2050-7. 21. Mao L, Xu D, Yang J, Yuan F, Gao Y, Zhao J. Effects of small and large molecule emulsifiers on the characteristics of b-carotene nanoemulsions prepared by high pressure homogenization. Food Technology and Biotechnology 2009;47:336-42. 22. Leong T, Wooster T, Kentish S, Ashokkumar M. Minimising oil droplet size using ultrasonic emulsification. Ultrasonics Sonochemistry 2009;16:721-7. 23. Garciaa LC, Tonona RV, Hubingera MD, editors. Effect of oil in emulsion and homogenization pressure on the microencapsulation of basil oil. Embrapa Agroindústria de Alimentos-Artigo em anais de congresso (ALICE); 2012: International Congress on Engineering and Food, 11., 2011, Athens. Food process engineering in a changing world: proceedings... Athens: National Technical University of Athens, 2011. 24. Chiewchan N, Phungamngoen C, Siriwattanayothin S. Effect of homogenizing pressure and sterilizing condition on quality of canned high fat coconut milk. Journal of food engineering 2006;73:38-44. 25. Titapiccolo GI, Alexander M, Corredig M. Rennet-induced aggregation of homogenized milk: Impact of the presence of fat globules on the structure of casein gels. Dairy science & technology 2010;90:623-39. 26. Schuh RS, Bruxel F, Teixeira HF. Physicochemical properties of lecithin-based nanoemulsions obtained by spontaneous emulsification or high-pressure homogenization. Química Nova 2014;37:1193-8. 27. Rao J-J, Chen Z-M, Chen B-C. Modulation and Stabilization of Silk Fibroin-Coated Oil-in-Water Emulsions. Food Technology & Biotechnology 2009;47. 28. Destribats M, Rouvet M, Gehin-Delval C, Schmitt C, Binks BP. Emulsions stabilised by whey protein microgel particles: towards food-grade Pickering emulsions. Soft Matter 2014;10:6941-54. 29. Qian C, McClements DJ. Formation of nanoemulsions stabilized by model food-grade emulsifiers using high-pressure homogenization: factors affecting particle size. Food Hydrocolloids 2011;25:1000-8. 30. Tan CP, Nakajima M. β-Carotene nanodispersions: preparation, characterization and stability evaluation. Food Chemistry 2005;92:661-71. 31. Tcholakova S, Denkov ND, Sidzhakova D, Ivanov IB, Campbell B. Interrelation between drop size and protein adsorption at various emulsification conditions. Langmuir 2003;19:5640-9. 32. Kuhn K, Cunha R. Flaxseed oil–whey protein isolate emulsions: effect of high pressure homogenization. Journal of Food Engineering 2012;111:449-57. 33. 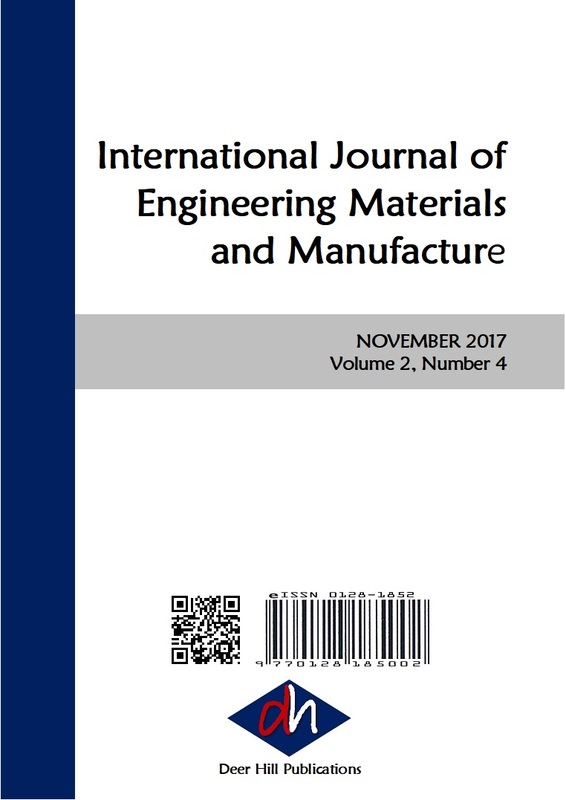 Soon-Taek H, Jeong-Won K, Yong-Seon J, Eui-Seok L, Na-Young G, San-Seong K, Hyun-Hyo K, Tae Young K, Yong-Hwa L, Young-Seok J, Ki-Teak L. Emulsifying Properties of Surface-Active Substances from Defatted Rapeseed Cake by Supercritical Carbon Dioxide Extraction. Journal of the Korean Oil Chemists' Society 2013;30:635-48. 34. Campanella O, Dorward N, Singh H. A study of the rheological properties of concentrated food emulsions. Journal of Food Engineering 1995;25:427-40. 35. Perrechil FdA, Santana RdC, Fasolin LH, Silva CASd, Cunha RLd. Rheological and structural evaluations of commercial italian salad dressings. Food Science and Technology (Campinas) 2010;30:477-82. 36. Verlent I, Hendrickx M, Rovere P, Moldenaers P, Loey AV. Rheological Properties of Tomato‐based Products after Thermal and High‐pressure Treatment. Journal of food science 2006;71:S243-S8. 37. Rao J, McClements DJ. Formation of flavor oil microemulsions, nanoemulsions and emulsions: influence of composition and preparation method. Journal of agricultural and food chemistry 2011;59:5026-35.